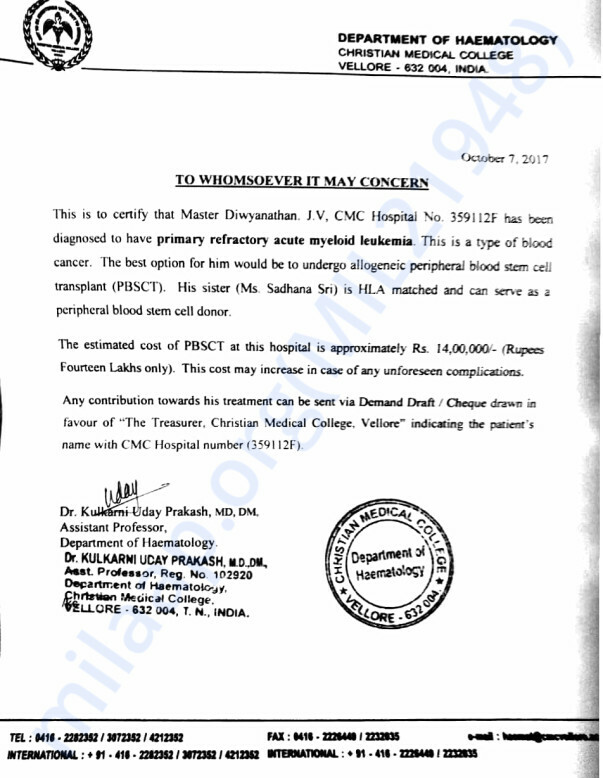 Since we have already spent around 10 Lakh for his chemotherapies, We are struggling to raise funds for “Blood Stem Cell Transplantation”. Any further complications during the transplantation would increase the cost of treatment. 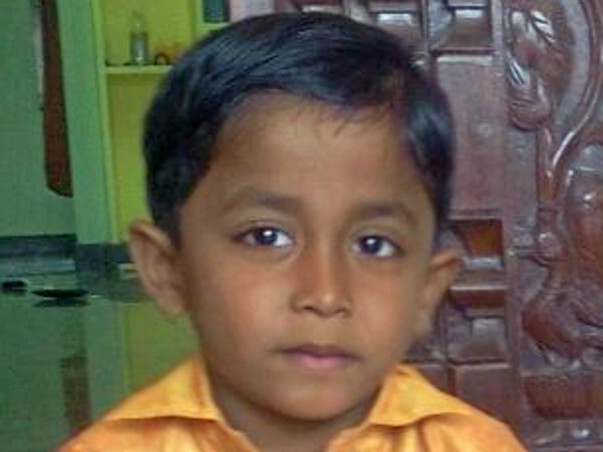 Any contribution you make will help this little boy to recover and have a normal life. The stem cell transplantation procedure has been done. Today it has been 12 days since the procedure was completed. 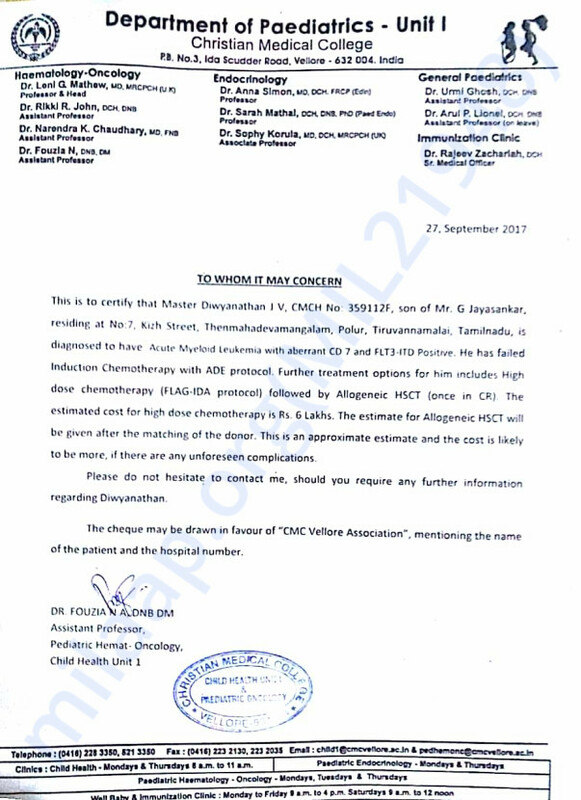 He is stable now without having much side effects but as per the doctor's suggestion, we still need to wait 2 more weeks to see the success of Stem cell transplantation. 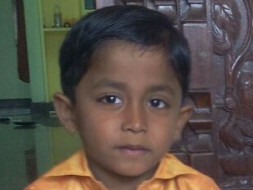 Thank you for all the love and support you have shown Divyanathan, would request you to please pray for his health and speedy recovery. Here is an update on Diwyanathan. Diwyanathan is undergoing chemotherapy. He was treated for lung infection and has been discharged from the hospital. Currently, he is at home and is doing good. He is awaiting results of the bone marrow test. Based on the result, stem cell or bone marrow transplantation will be conducted next week.